Make a date with our BIG FRIDAY and story of the month of June in three days time, when Spotlight Zimbabwe, REVEALS graphic political details of President Emmerson Mnangagwa’s successor. We name the politician in question and the secret grand plan Zanu PF has already made to secure its continuity and hegemony of the country’s presidency. This is great and taking journalism to another level. All of us are worried about the Zimbabwe elections outcome, and yet Spotlight Zimbabwe has already reported that the Croc will be winner courtesy of military meddling. Your team now goes further and deeper to already write about Mnangagwa’s successor. Your publication is out of this world and very much ahead of time, small as you’re many stakeholders interested I bet secretly rely on your stories, which have proved to be better than what so called intelligence agencies and operatives have to offer. Keep it up, your editor and international editor are going to shake up and change your country’s media landscape. 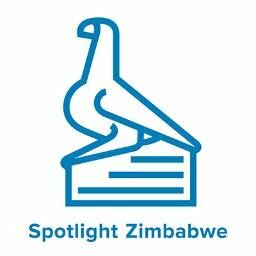 Too bad in Africa you don’t celebrate your own, the guys behind Spotlight Zimbabwe, would be national assets in more democratic nations. I salute you. This is the real deal, small as you are and the mighty mainstream is always playing catch up.